Instead of lashing out after a photo taken without her knowledge was posted online to be ridiculed by man, Balpreet Kaur instead takes the opportunity to educate others about her religion while spreading a message of tolerance and kindness. Standing in line at the Ohio State University library, this photo was snapped of her by a fellow student who was perplexed by seeing a woman with facial hair and decided to post the quandary online where many others made disparaging remarks about Kaur’s appearance. Members of her religion do not believe in altering their bodies and instead strive to accept them for the gifts that they are. Since posting the picture online, the young man who did so has apologized for being hurtful and said he appreciates her being open about her faith and her story. Awakened a little after 4 a.m. in the morning by the sound of crackling sparks and flames, Samantha Christian noticed flames coming from a portable air conditioner in her bedroom and she sprung into action. She ran to wake her 8 year old brother’s room to wake him after first waking her mother. As the home filled with black smoke and her mother attempted to put out the flames (unfortunately she was unsuccessful in saving their home and belongings from the fire), Samantha ran back inside to try to wake her 4 year old brother who wouldn’t wake up despite her efforts. She picked her little brother up and carried him outside to safety while their house and belongings were destroyed by the fire. Ok, how come I never heard of this until now when the Olympics are long over?! I remember feeling a little bit frustrated while the Olympics were airing over the lack of coverage for other nations and their sports, and this just proves why! There was plenty of coverage on American teams, which is great of course, I’m a proud American, but I never heard the name of Ye Shiwen until today when I was doing a little research. We saw plenty of American swimmers Michael Phelps and Ryan Lochte, but did you know this 16 year old girl completed the 50m race in LESS time than Lochte? Adalia Rose is a beautiful name for a beautiful person. Her positive outlook on life and her happy spirit lift others whenever they come across her. 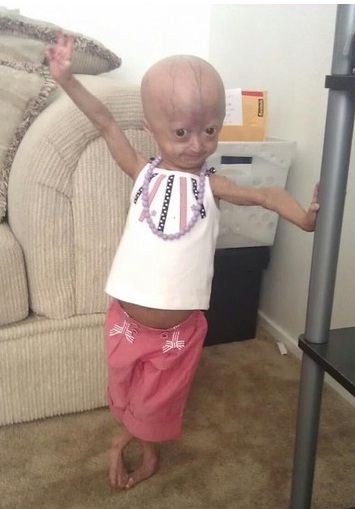 At just 5 years old, the little girl who has been diagnosed with a rare condition known as “Progeria” (which causes rapid aging in children and shortens their overall lifespan) proves that you can have a happy life, have people who love you dearly, and have a positive impact on many even at a young age and despite any disabilities. 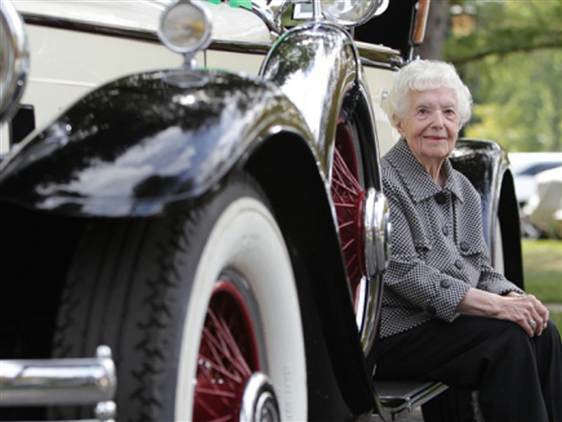 Margaret Dunning has been driving her beloved 1930 Packard 740 Roadster for the past 63 years, a car that has stood the test of time right along with her, due to consistent maintenance and tender loving care! She’s been driving for 90 years when she first got her driver’s license at the age of 12. A true car enthusiast, Margaret attends many classic car shows and proudly changes the oil and pumps the gas on her classic Roadster herself. She didn’t let the Great Depression get her down too easily either. Though tough times required her to drop out of college, she persevered and later had successful careers in both retail and banking. Read a little bit more about the lively Ms. Dunning here! Kids and young women can certainly make a contribution to their communities and do a lot to help others, even if those others are the animals of The Humane Society. Instead of presents for her 12th birthday, Kassidy Adam asked for donations to her local Humane Society from friends and family. She was overwhelmed by the donation amounts and went with her friends to drop off their contribution to a very grateful staff. Amarillo, Texas is not unlike thousands of other cities nationwide, where hundreds of kids find themselves in need of loving Foster parents. Every year there are so many kids in need of Foster care to help them grown and thrive in safe environments and create a loving home for them. Kandy Carnes always knew she cared about children and she considered being a Foster Mom someday, when it was convenient and her life was in order in such a way to welcome Foster kids into her home. She and her husband had often considered being Foster parents, but the timing never felt right. Then she made a bold decision to follow her Biblical belief that encourages others to tend to widows and children. Inconvenience aside, she has welcomed two Foster girls, sisters, into her home despite not having been around young children since her own teenage kids were little. She is very involved in encouraging her community to recognize that there are countless children waiting for people like her to find it convenient enough to change their young lives for the better. People like her help me remember that my life isn’t just about me having a grand ol’ time going fun places, having cute outfits, and buying nice things. It’s about helping other people, and I want to be better about acting now instead of always putting it off for another day. I appreciate Kandy’s story for reminding me of that. 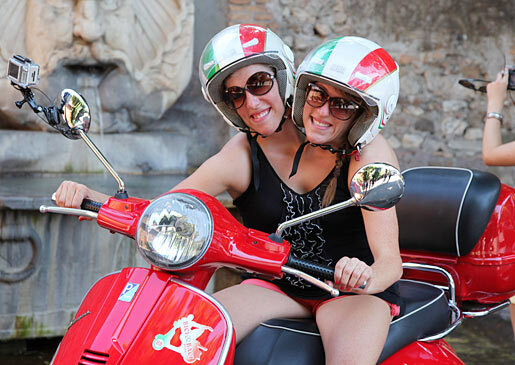 These two sisters take on tasks that we would think is impossible for those with their challenge, but I’ve really admired their gumption and watching them be so happy, travel, go to college, hang out with their friends and amaze many and touch lives everywhere they go. I’m very inspired by their happy dispositions and it humbles me to think about my own tendencies to hold back or resist allowing myself to shine because I don’t feel up to the task. I love these kind of stories! Things have certainly changed for her for the better, but not because of pure luck. 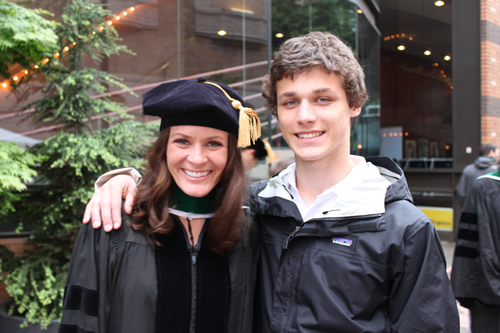 She’s worked hard and put herself through college and pre-med courses at Portland State University and recently had the pleasure of crossing the stage as a proud graduate with a doctorate of medicine from Oregon Health & Science University. That’s quite an admirable accomplishment as it is, especially when starting out with so much responsibility and challenges at a young age. I don’t think Jane Austen ever lost anyone’s appreciation even as time has gone by and times have certainly changed. If anything, I feel as though women and girls cling to her literature more than ever with tales of true romance, humor without vulgarity, well developed stories and characters (particularly strong willed, happy, thoughtful women), and dignity. 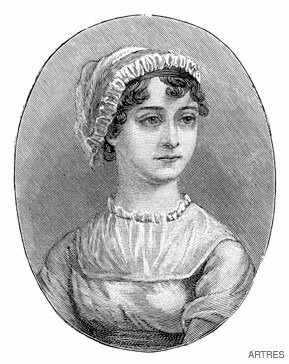 Relying heavily on her own education, the support of her family and her unique talents, Austen wrote dozens of beloved literary classics that have been made into movies, and re-published again and again. I appreciate her for being a woman who, in a time where women were most certainly not considered to bring much to society other than what they could bring in the way of beauty and homemaking skills and made a name for herself despite her lack of husband status. Her works are charming in every way and have certainly provided myself, my mother, my sister, sisters in law, and countless friends with entertainment, encouragement, and joy in reliving them over and over again. "Everyone has inside of her a piece of good news. The good news is that you don’t know how great you can be! How much you can love! What you can accomplish! 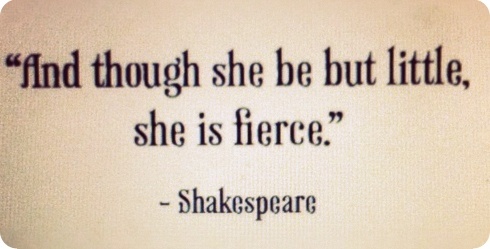 And what your potential is!" Know a real life Wonder Woman? Tell us about her! Young or old, share an example of someone you know who is a real role model. 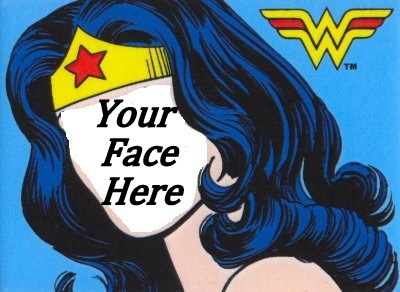 Tell us in 300 words or less about your Wonder Woman and include a picture so we can put a face to her story.